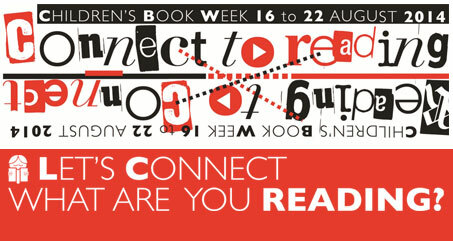 It’s Children’s Book Week! 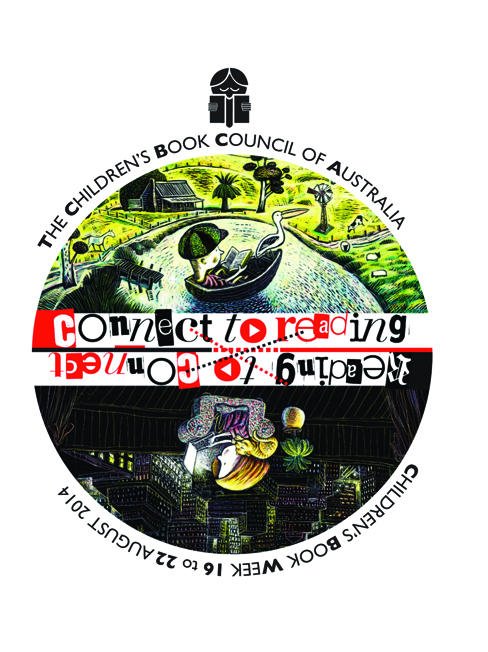 Following on from yesterday’s CBCA Awards, Children’s Book Week runs from 16-22nd August and celebrates the joy of reading. Across the country, schools and libraries in particular will spend the week celebrating books, Australian authors and illustrators. This year the artwork has been created by our author Ron Brooks, winner of the 2013 CBCA Picture Book of the Year Award with Julie Hunt for The Coat. Ron has used a scratchboard technique and quality ink colouring to create a piece that will resonate with all ages. The addition of Ron Brook’s unique typography invites the viewer to actively interact with the artwork and respond to the slogans. 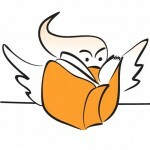 Connect to reading is about enjoying the experience of exploring story, and travelling to other worlds. The reflected slogan. Reading to connect, has a broader social meaning, suggesting that reading assists in creating a bond with others. Within the world of the contemporary child, this is also relevant as they read books and they read to connect through a variety of media. The theme can be taken in a number of ways, and we’ll have staff and authors sharing their travels to other worlds during the week. What does the theme bring to mind for you?